Wolfgang Von-Kindberg, a Veteran recently housed at St. Francis House under the VA Homeless Veterans Program, served his country in the Air Force. After leaving the service, he continued keeping others safe pursuing a career in the security industry. Loss of a job eventually led to losing his house, and Mr. Von Kindberg sought help from the Veterans Day Treatment Center. He came to St. Francis House last October. He had never stopped looking for work, and his perseverance paid off with a new job a day after he moved into St. Francis House. 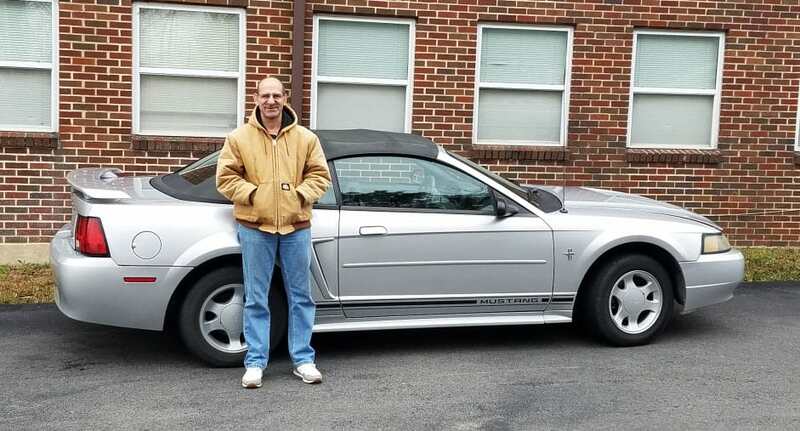 With a place to stay and a full-time job, he began saving for his next step, his own place. “He is very dedicated to his job,” states case worker Beth Pecks. “He takes all the training he can, and his bosses have been very supportive.” Without his own transportation, Mr. Von-Kindberg would take one of the St. Francis House bicycles with him on the bus to work every day so he could ride home at the end of his shift, sometimes as late as two or three in the morning. After being approved for housing and finding a place to live, transportation was soon going to be an issue. Thanks to St. Francis House supporter, Sandra Freeman of Hot Springs Village, that problem was solved! Ms. Freeman donated a car to be given to a Veteran who could use it and Mr. Von-Kindberg was the perfect candidate for the gift. With a steady job, a place of his own and a car, 2019 is already a banner year!